The coffee-table book is more than 100 pages and features various illustrations, pictures, charts and graphics. Following an introduction, it’s divided into four sections based on time/advances: prehistory to the middle ages; the renaissance and the age of enlightenment; ne numbers, new theories; and modern mathematics. A section on “great mathematicians” is also included. 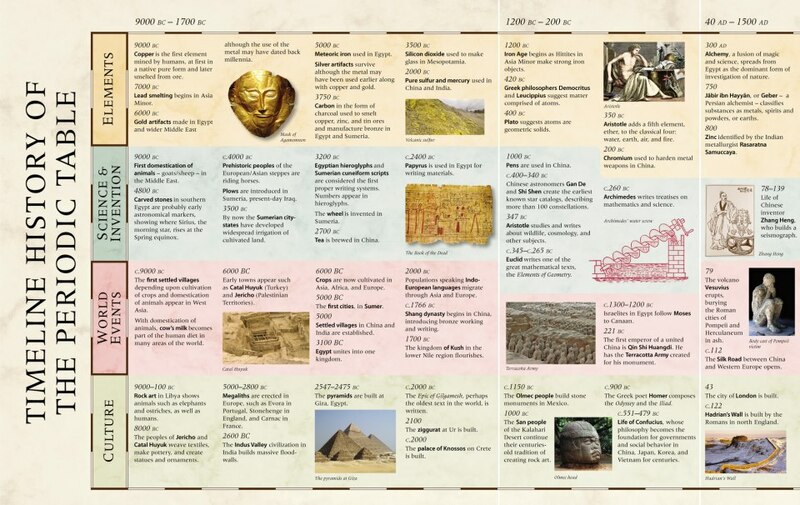 An added bonus is a 12-page removable timeline that features key moments in culture, world events, science and invention, and mathematics dating from 4000 B.C. to today. 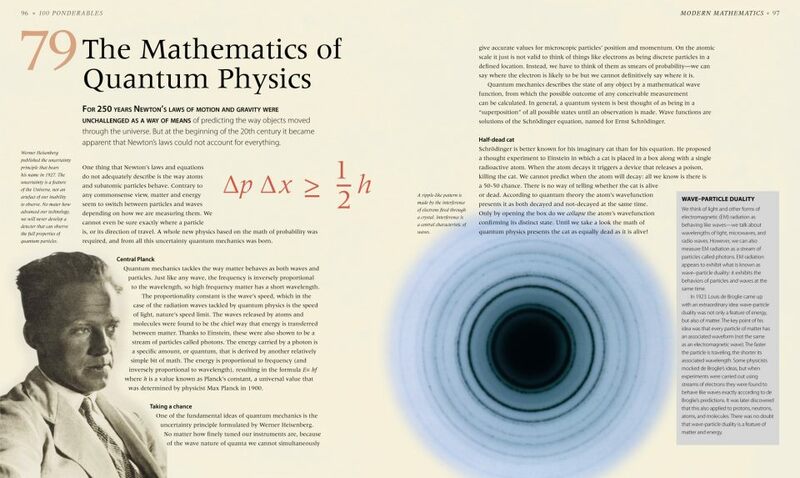 On the other side of the timeline: all sorts of mathematical enigmas (games, paradoxes, primes, problems, etc.) and a chart of mathematical symbols. 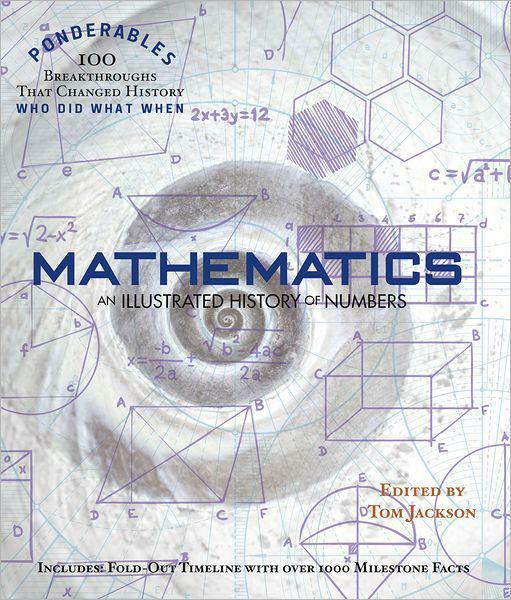 “Mathematics: An Illustrated History of Numbers” isn’t the type of book you read cover to cover — unless you’re a true math geek, of course — rather, it’s best paged through, stopping at your areas of personal interest. Though some of the topics may at first appear over your head, the authors have made them accessible. The writing is well done and there’s not too much jargon to wade through. Bottom line: Not only is this book interesting, it’s fun, too.